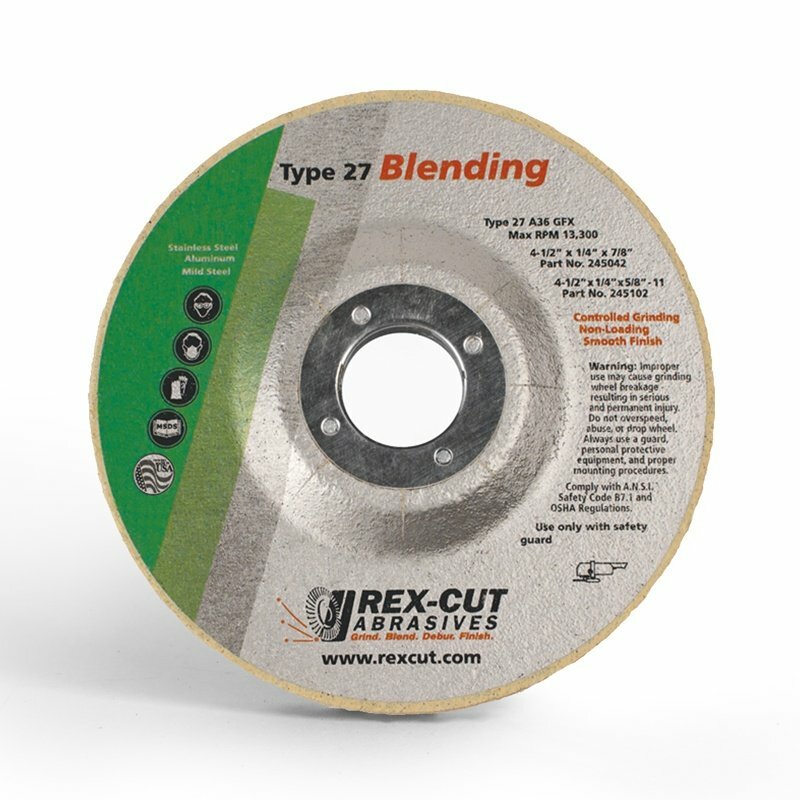 Rex-Cut Type 27 grinding wheels are manufactured with our signature abrasive materials designed for grinding and blending in one step. GFX: Blending - Flexible synthetic latex bond used for blending and finishing applications. 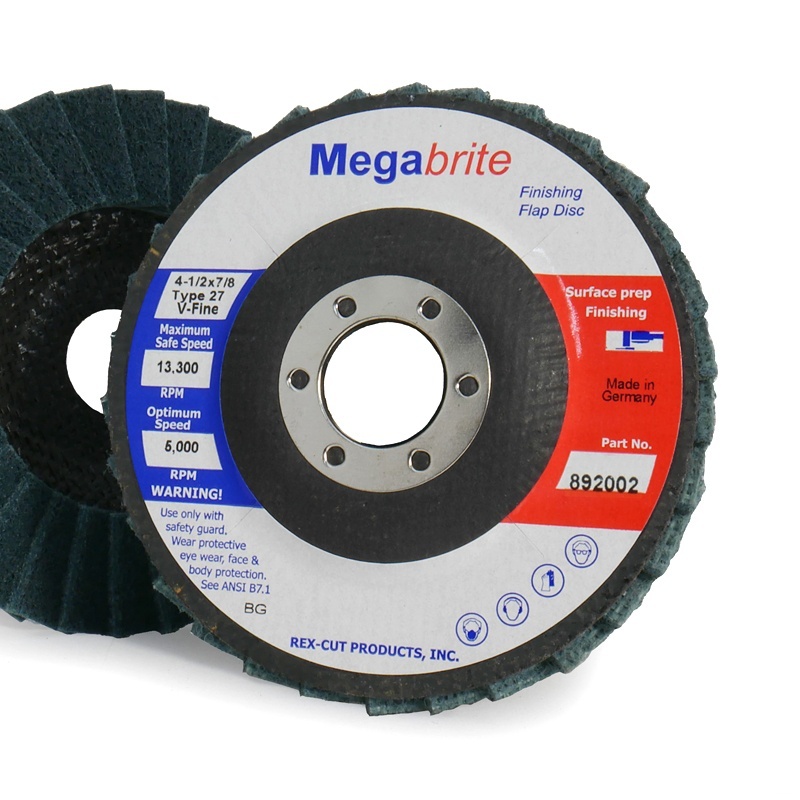 It resists loading on aluminum and is resilient for a smooth, chatter-free operation on tanks, vessels, kitchen and food processing equipment, trailers, and other fabrications. 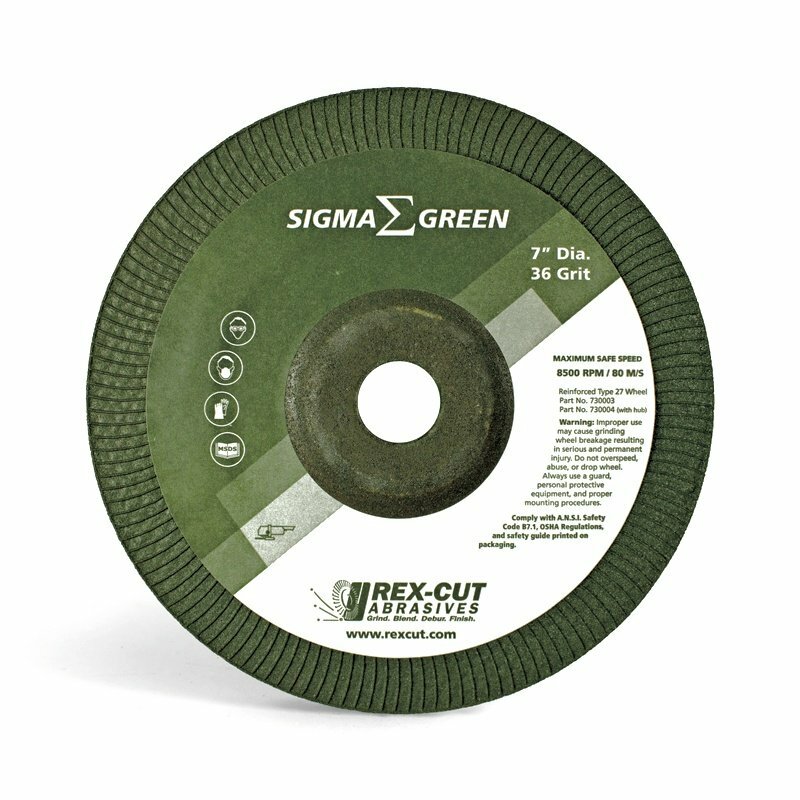 MTX: Grinding - Tough resin bond used for light or medium weld removal. 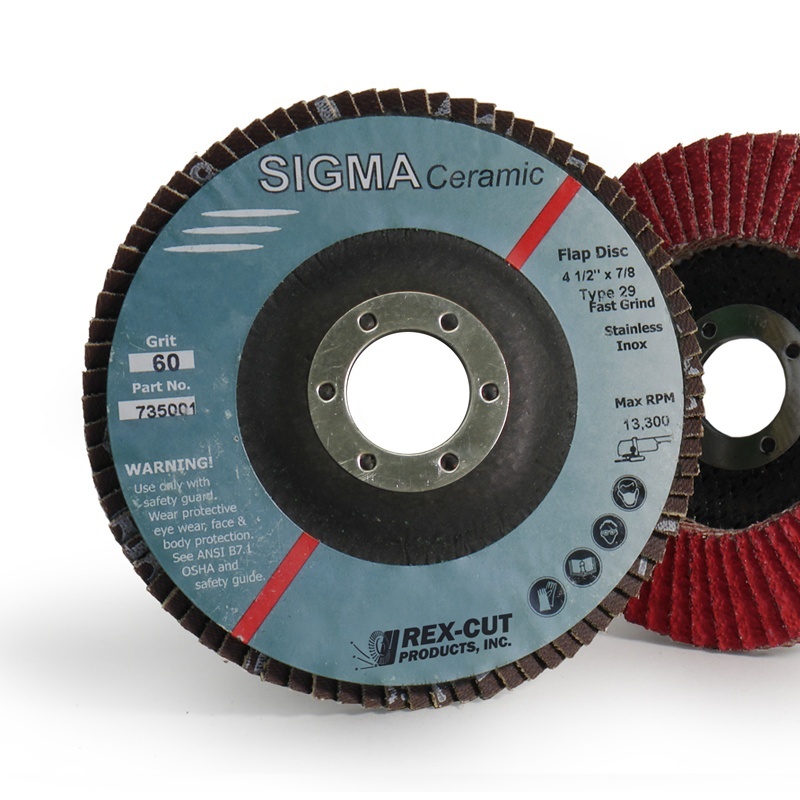 This resin bond also provides a faster cut rate. 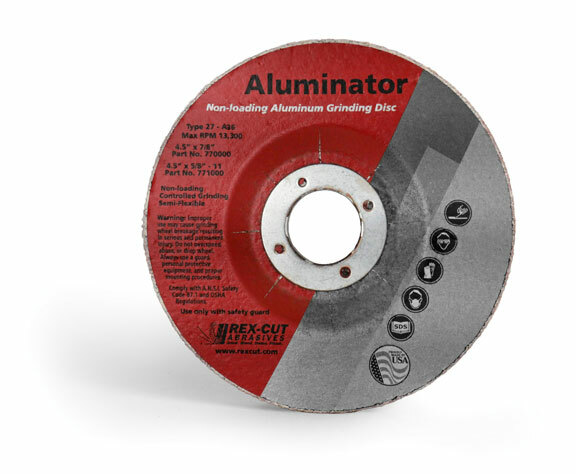 It resists loading on aluminum and offers excellent results on all non-ferrous materials.